Former FC Halifax Town midfielder Jake Hibbs has joined National League North side Spennymoor Town. Hibbs signed a three-year-contract at Halifax in 2016 and was part of the FA Trophy winning side that beat Grimsby 1-0 at Wembley that year. 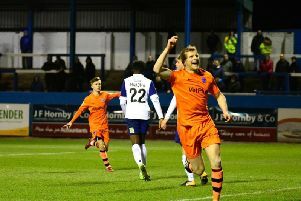 Hibbs spent five years at The Shay and made 25 appearances in the National League last season.